Sedalia-based Intermountain Rural Electric Association held its first-ever holiday light recycling program. 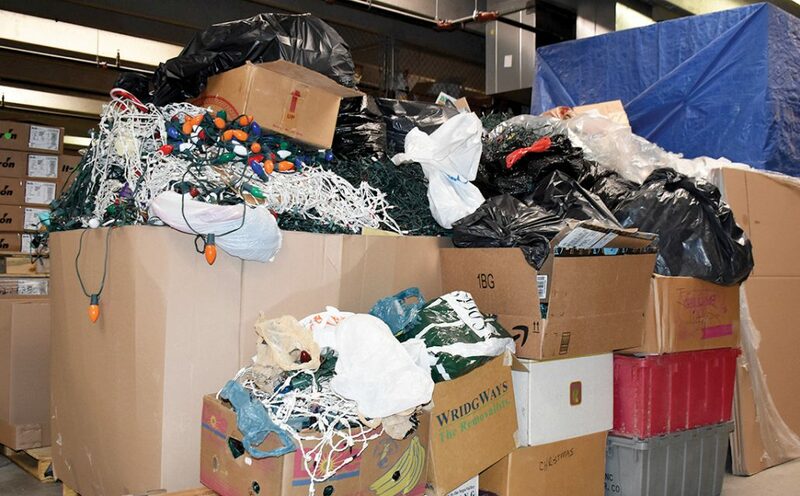 It was hugely successful and co-op members brought in much more than expected — over 3,000 pounds of recyclable holiday lights. IREA took the lights to Western Metals Recycling center where it was paid 20 cents per pound to recycle the lights. This was a chance for members to recycle their old holiday lights at no cost, and the program provided a donation to Energy Outreach Colorado. IREA matched the amount received from the recycling center, making the donation total over $1,200. Energy Outreach Colorado helps low-income Coloradans with heating bill assistance, emergency home furnace repair and grants to improve the energy efficiency of affordable housing facilities. This recycling program is an innovative way to encourage members to dispose of holiday lights in a responsible manner, and also provide funds to help Coloradans.